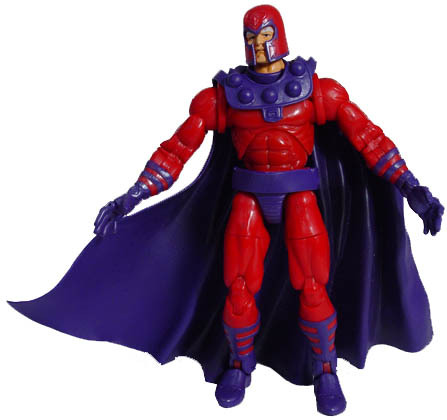 Magneto is traditionally regarded as the arch-enemy of the X-Men, although at times he has aligned himself with them and even joined them as a team member. Black Panther (vol. 3) #28 (Mar. 2001): "Sturm und Drang: A Story of Love and War, Book Three: The Trade of Kings"
Captain America Annual #4 (Nov. 1977): "The Great Mutant Massacre!" The Defenders (vol. 1) #15 (Sep. 1974): "Panic Beneath the Earth!" The Defenders (vol. 1) #16 (Oct. 1974): "Alpha, the Ultimate Mutant!" 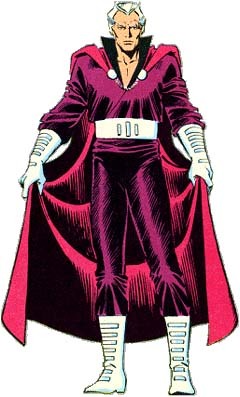 Doctor Doom and the Masters of Evil #4 (June 2009): "All For This"
Fantastic Four: House of M #1 (Sep. 2005): "A Doctor in the House"
Fantastic Four: House of M #2 (Oct. 2005): "Four the Hard Way"
Fantastic Four: House of M #3 (Nov. 2005): "King for a Day"
New X-Men (vol. 1) #115 (Aug. 2001): "E is for Extinction: Two of Three"
New X-Men (vol. 1) #146 (Nov. 2003): "Planet X: Part One"
New X-Men (vol. 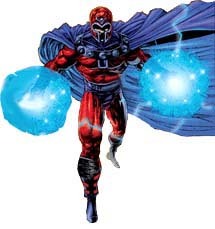 1) #147 (Nov. 2003): "Planet X - Part Two: Magneto Superior"
New X-Men (vol. 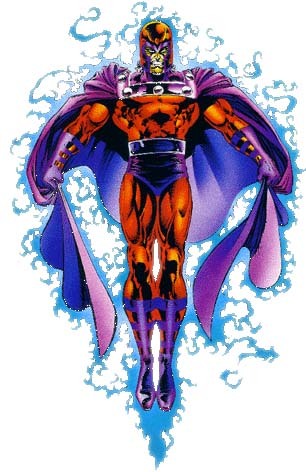 1) #148 (Dec. 2003): "Planet X - Part Three: Survivor Type"
Untold Tales of Spider-Man #14 (Oct. 1996): "The Son of Magneto"
X-Men (vol. 2) #1 (Oct. 1991): "A Villains Gallery"
X-Men Forever (vol. 2) #Alpha (July 2009): "A Villains Gallery"
X-Men: Age of Apocalypse One-Shot #1 (May 2005): "[pin-up 4]"
X-Men: Legacy (vol. 1) #209 (May 2008): "From Genesis to Revelations, Part 2"
X-Men: Legacy (vol. 1) #210 (June 2008): "From Genesis to Revelations, Part 3"